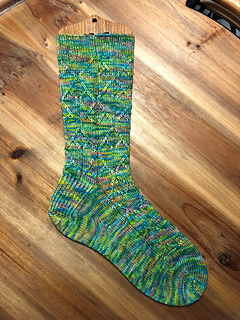 I wanted a lovely spring color for this sock that would show off the stitches very well. Dragonfly Dreams was the perfect choice I think! It’s knit from cuff to toe with a slip twisted stitches which I call “twilling”. Do you see the hearts? Written instructions are included. This is a FUN sock!